Santa Claus got his fat quarters stuck in the chimney. Help him get out by reducing his stash. 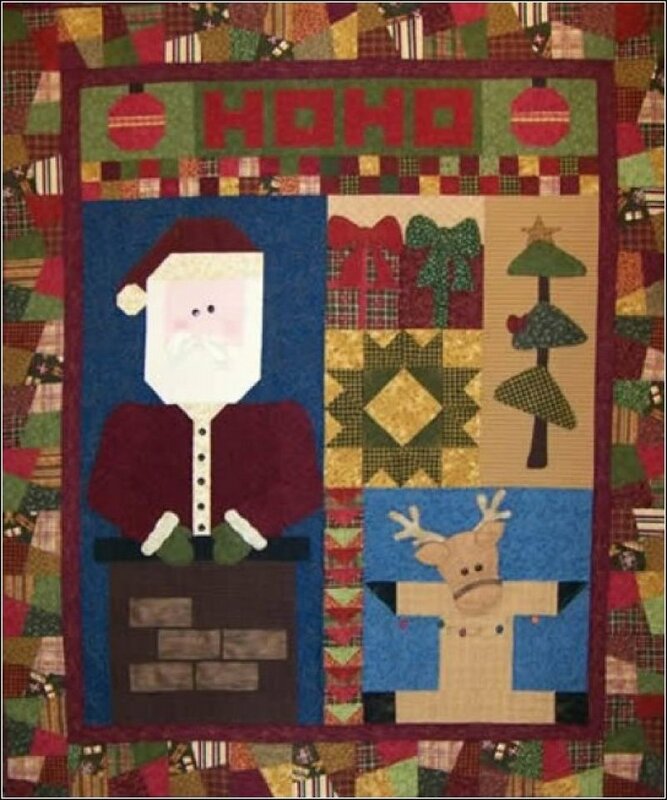 Bordered with crazy fun, this quilt is sure to brighten your holiday. This pattern will be emailed as a PDF file. 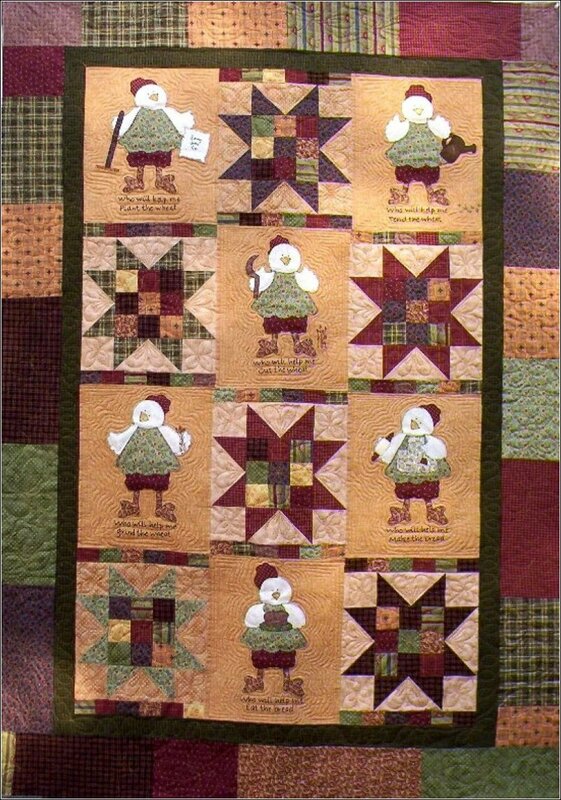 This quilt combines piecing and applique techniques with a little bit of embroidery to retell the story of the Little Red Hen. Who will help me make the quilt? This pattern will be emailed as a PDF file. 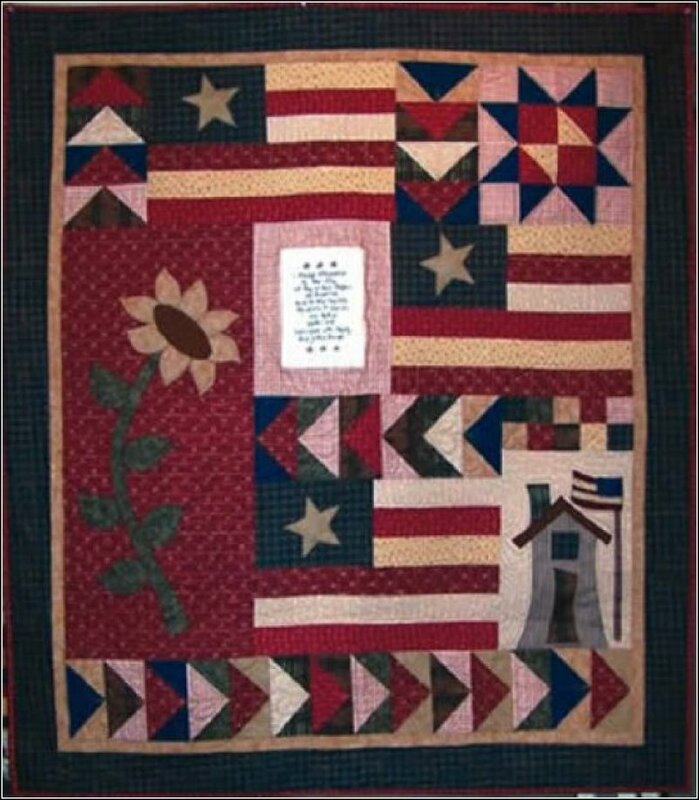 This intricate looking quilt is simple to make. 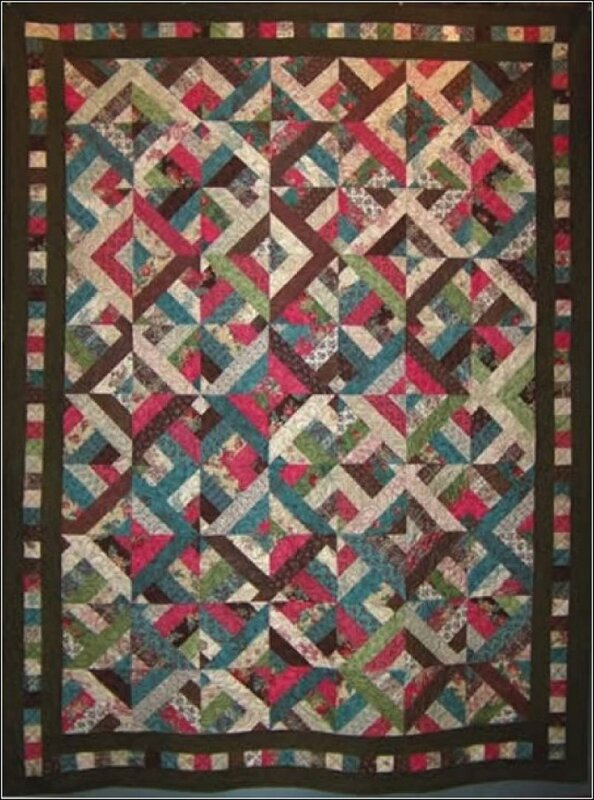 Easy strip piecing methods help finish the quilt in record time. Completed with eighty, two and a half inch strips, it is a great way to use up odds and ends or Moda's jelly rolls. PDF file pattern.